A talented musician lacking lyrical inspiration. When he first sees her, he knows he's found what he's been looking for. I finished reading Atheists Who Kneel and Pray last night at 1:35am. I couldn't stop reading. My heart was hurting so much and I needed to know what was going to happen next. I was a basket case. Every once in a while you read a book and it touches you and it makes you think about yourself and life in general. A book that makes you wonder if you are living your life that way you should be. We all have issues and we all have struggles, but running away from them isn't going to solve them, it's just pushing them back and having them creep up on you in the long run. I have so many highlighted parts in this book. There were so many quotes that spoke to me. I wanted to be able to go back and look at them because they are so true. Tarryn did an amazing job writing this story. From the premise, to the writing and the feel I got while reading. There was a point that I just didn't know if I could continue. I wanted to know what was going to happen, but I knew I had to read through some tough stuff to get there. Then it's Tarryn, am I going to get a HEA? LOL I am huge on that. I don't mind the characters going through hell and back, but they better get their HEA in the end. As you can tell, I absolutely love this book. I did have one thing that bothered me though. The story is in both Yara and David's POV and it also goes back and forth in time. Although that isnt' what I had issues with, it's that fact that it doesn't tell you at the beginning of the chapter. So when you start reading, you don't know whose POV or time it's going to be. It was really confusing, to me at least, when it first switched from Yara to David's POV. Other than that, Atheists Who Keel and Pray is perfect! 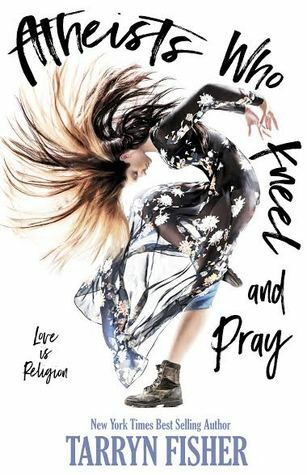 If you are looking for a great angsty book that you will fall in love with, please read Atheists Who Kneel and Pray. It was my first read for 2018 and I know it's going to be on my top 5 for this year.